Two refugee aid concerts featuring some of Liverpool’s finest musical talent, old and new, take place imminently, Getintothis’ Tom Konstantynowicz previews two special nights for one great cause. A photograph in the media recently brought to light the tragic struggle of refugees desperately fleeing their war-torn countries and forced everyone to sit up and take notice. Not least in Liverpool, where two fundraising music events have been organised – one at the Echo Arena, the other at 24 Kitchen Street. 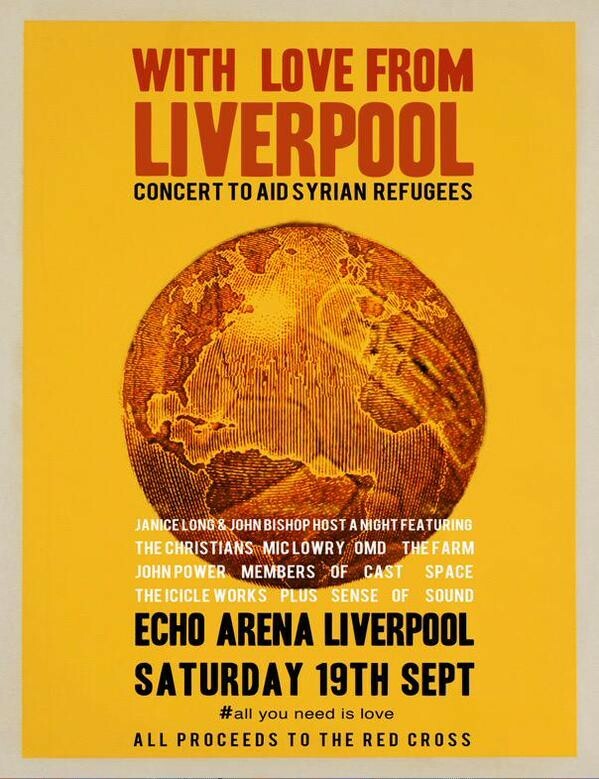 The With Love From Liverpool concert at the Echo on September 18, hosted by comedian John Bishop and BBC Radio 2 broadcaster Janice Long, has been organised by Mayor Joe Anderson and Sound City pulling together a line-up including The Farm, Space, Cast‘s John Power, OMD, The Christians, The Icicle Works, MiC Lowry and Lawson. Mayor Anderson knew Liverpool would get behind a campaign to provide help to the refugees in need. He isn’t short of supporting evidence, this weekend’s Hope Fest in aid of the homeless shows the cities caring side and just a month ago, the far right, National Action-led ‘White Man March’ was ran out of town. Liverpool is a city sympathetic and accepting towards its fellow human beings. If the night at the Arena is one for the old guard, then No Alternative – An Evening For Syria represents the innovative new music movement in the city. 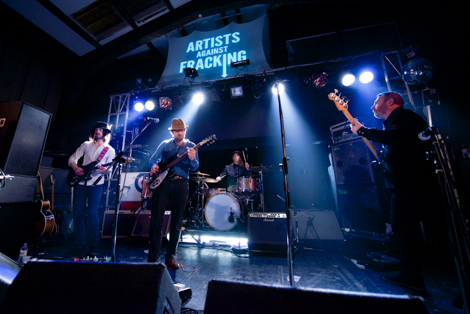 Set at 24 Kitchen Street in the Baltic Triangle on September 25, the line-up consists of Dave McCabe & The Ramifications, The Sundowners, By The Sea, Silent Sleep, Marvin Powell and The Springtime Anchorage. 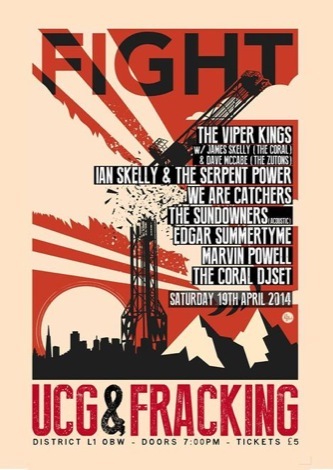 DJ sets late into the night will come from The Coral, Bill Ryder Jones and Liquidation DJs. 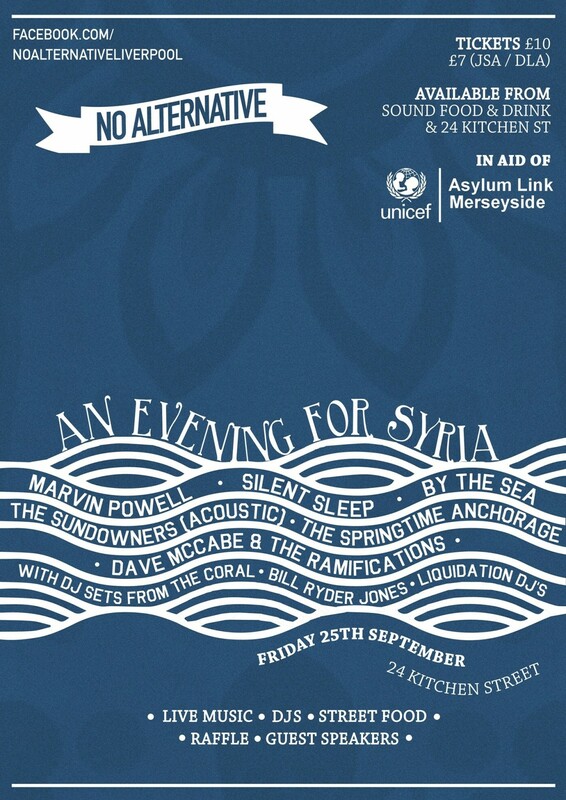 No Alternative… proceeds will go to UNICEF‘s Children of Syria Fund and Asylum Link Merseyside while the money raised from With Love From Liverpool will benefit British Red Cross. Tickets for With Love From Liverpool can be purchased here for £25 each. Tickets for No Alternative – An Evening For Syria are available from Sound Food & Drink, 24 Kitchen Street, Dig Vinyl and Probe Records, priced between £7-10.